Recently, Infinity Ward's Mark Rubin explained that the Xbox One version of the just released video game "Call of Duty: Ghosts" runs at native 720p (upscaled to 1080p) in order to keep the game's frame rate up at the critical 60 frames per second mark. The PS4 version, though, runs at native 1080p, and it seems that Sony's hardware is struggling to keep up. A report based on a number of "Ghost" game reviews was released on Wednesday, by Forbes. Some of the reviews also pointed to frame rate issues on the PS3. 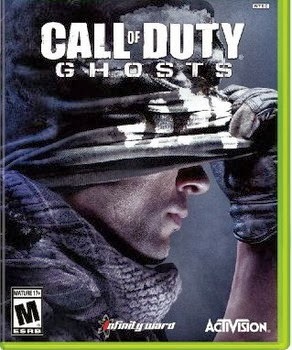 Notably, though, "Ghost" reviews involving the Xbox One, Microsoft's PS4 rival, are embargoed until Nov. 12. So there isn't an apples-to-apples comparison available yet, between the two next-generation consoles. On the current-gen versions Ghosts looks nearly identical, though I did encounter occasional framerate issues during the single-player campaign on PS3 and PS4. A key pillar of the Call of Duty experience has always been rock-solid 60 frames per seconds gameplay. On Xbox 360, Ghosts maintains this mandate. The PlayStation 4 version, however, has noticeable technical issues, sometimes slowing to a crawl, particularly during set-piece moments with multiple effects. [...] These frame rate hitches happen throughout the campaign on PS4 and, in a series known for its Hollywood-inspired bombast, it detracted from the experience. Much has been said about the fact that the PlayStation 4 version of the game runs at a native 1080p, and while that may be true, the game did struggle to maintain a steady frame rate, especially in hectic multiplayer matches. The PS3 version of the game ran into similar problems, whereas the Xbox 360 version maintained a steady 60 frames per second. Of course, this is just one game, and -- as these new consoles mature, and developers learn the tricks to optimizing their software, we expect things will just get better. I think this is not going to be an issue in six months. It's just a bumpy time for launch is what it is.